Mr. Hanley joined AFMC in 2010 and serves as President and Chief Executive Officer, overseeing the executive leadership team. Prior to joining AFMC, he spent 28 years with the Arkansas Department of Human Services, 16 of which were as director of Arkansas Medicaid. He then spent seven years as the client industry executive for the State Health and Human Services business aspect of HP, working exclusively outside the state of Arkansas. In 2007, the company recognized Mr. Hanley as Global Client Industry Executive of the year. He is a member of the Healthy Active Arkansas board of directors. He served as chair of the National Association of Medicaid Directors for five years and remains an active alumnus of that association. 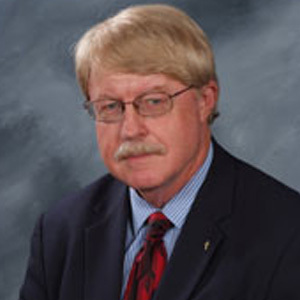 Mr. Hanley served as chair of the Central Arkansas Sierra Club and as a member of the board of directors for the American Healthcare Quality Association and the American Public Welfare Association. He is author or co-author of 20 books on historical perspectives in Arkansas, the proceeds of which he donates to local historical societies and museums. When he is not working, Mr. Hanley centers his life around his family, travel, hiking, photography and writing. He has traveled to more than 30 countries and worked all over the United States. Registrants may transfer their registration to another person at any time by notifying Lis Diaz (ldiaz@healthmanagement.com) in writing. Cancellations must be made in writing to Lindsey Beck (lbeck@healthmanagement.com). Refunds minus a 20% service charge are available for cancellations received in writing 45 days or more prior to the start of the conference. No refunds are available thereafter.